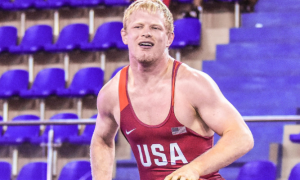 The United States Greco-Roman Seniors added onto their 2017 medal total with two more earlier today at the Tbilisi Grand Prix in Tbilisi, Georgia. 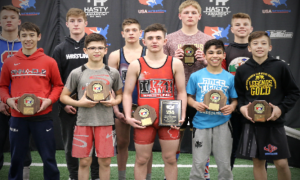 Alex Sancho (66 kg, NYAC-OTS) and Ben Provisor (85 kg, NYAC) both powered through extremely competitive brackets to make it to the finals in what was an overall exciting day of wrestling. Sancho picked up two technical falls along the way and Provisor overcame a tough first-round before scoring a gripping win over Aziz Saman (IRI) that catapulted him into the semifinals where he defeated Salva Khachidze (GEO) 3-1. Neither US wrestler pulled out wins in the finals and one case in particular stung more than the other. 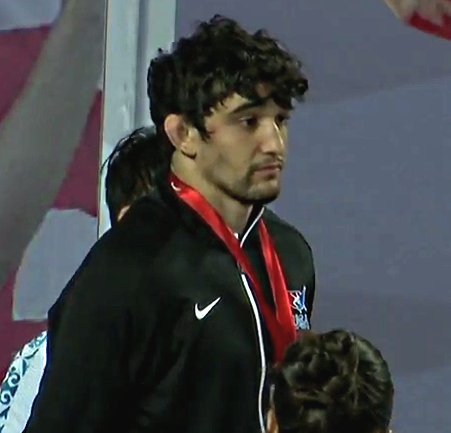 Standing across from Sancho in the 66 kilogram final was 2013 Junior Asian Championships bronze medalist Daniar Kalenov (KAZ), a rough and tumble sort who likes to keep his feet moving at all times. He’d have his work cut out for him. Sancho came out aggressive to begin this one, darting across after the whistle and dragging Kalenov by. Things simmered down just a little once the feeling-out process was over as Kalenov wanted to disrupt Sancho’s pace. A high-dive attempt by Sancho came up short and Kalenov went back to a frontside two-on-one, lunging in deep with his right leg. This was enough to get Sancho warned for passivity and soon after, docked for a point. 1-0, Kalenov. This was the rhythm — Kalenov would try to sneak in underhooks while taking angles as Sancho prodded for his own ties. Eventually, Sancho lassoed an overhook with his left arm, keeping his right arm free as he assessed his options. It looked like he might use it for an arm throw, but he couldn’t get the lane he needed and reset. With the first period winding down, Sancho kicked it up a notch, forcing Kalenov to once again methodically smother the action by tying up Sancho’s wrists. To start the second, the referee motioned to Sancho to knock out the finger-grabbing, to which Sancho politely nodded and then pointed his finger at the other end of the circle as if to say, Fine, but tell him, too. The pair charged in at each other and Kalenov resumed his busy-work by digging in and going for the wrists before grabbing an underhook he just held onto. Sancho was becoming visibly frustrated and even more so when he was rung up for another passivity point. 2-0 now in favor of Kalenov. Sancho briefly blitzed in for another high-dive and then set his feet for a hip toss, neither of which offered much of an opening. Late in the period, Sancho finally got his chance. He clamped on a front headlock, one of his signature moves, and appeared very close to dumping it over. However, the referee, who all match long was calling a one-sided game, forced a restart just as Sancho was about to hip it through. More exasperation. There is no doubt that Kalenov fought hard through the entirety of the bout, but the officiating clearly didn’t do Sancho any favors as he is forced to settle for a silver, his third international medal of 2017. This was going to be an interesting bout simply based on most of the key parameters good match-ups are judged by. Robert Kobliashvili (GEO, world no. 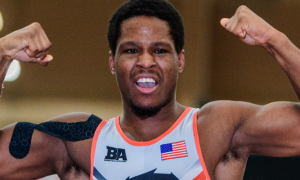 12) stands as one of the better 85 kilogram competitors in the world and has amassed an impressive list of credentials over the past 15 months, including a silver at last year’s European Championships as well as an appearance at the Rio Games. 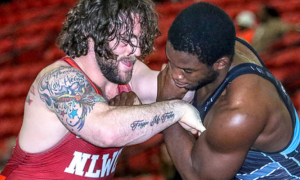 Provisor, of course, is a two-time Olympian and just entering the prime of his career. Kobliashvili pecked in for an underhook at the outset and wanted to dictate where the fighting took place. Naturally, given the environment, the crowd quickly began urging for a passive call on Provisor. 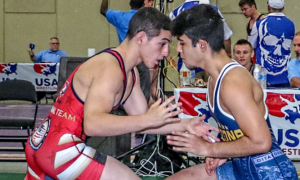 They exchanged tie-ups in the center with both wrestlers finding underhooks early on. This is an obvious strength of Provisor’s and he clutched his underhook and danced Kobliashvili to the edge. The two athletes moved back away from the boundary but Provisor was still doing a nice job of momentarily controlling the center. Kobliashvili soon reversed position and put Provisor’s back to the line, which brought out the first passivity point of the contest. 1-0, Kobliashvili. A battle of wills, this was. No quarter asked for, no quarter given. There just weren’t any inches to give on either side and that would continue to be the story heading into the second frame. 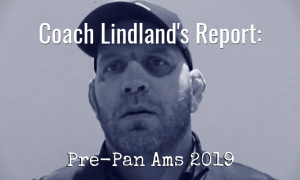 If the first three minutes were indicative of anything, it was that Kobliashvili wasn’t going to be able to score, Provisor neither, and the whole thing was going to be decided by perception, positioning, and passivity. Kobliashvili went back to employing the original game plan and hustled grinding tie-ups. 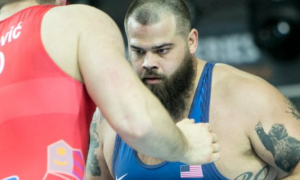 Provisor violently punched through an underhook, but had trouble finding a long-term residency for where his arm should be. Eventually, Kobliashvili was awarded another passive point,thus extending his lead to 2-0. 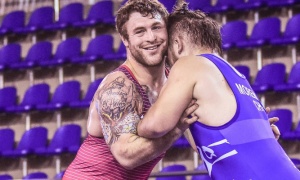 Knowing he was going to have to start generating attempts to stay in it, Provisor dipped down for a high-dive only to come up short. He’d do so again thrice more in the last :30 of the bout, each time missing his target. 2-0 might not be what a typical slugfest sounds like, but this match certainly was one. In the end, the result goes to Kobliashvili, though Provisor proved that he is absolutely on par with the brand of competition he is going to see two months from now in Paris. We will have a full-scale report with complete results and further analysis later on, so stay tuned!